Check out the 2019 Jeep Cherokee in Orlando, Florida and experience the craftsmanship of the traditional Jeep brand. The Cherokee is more like a work of art than an SUV. The vehicle offers improved LED headlamps and tail lamps along with a new wheel design. The Cherokee offer tons of innovative convenience features. Get in touch with our team to learn more about our financing options. The Jeep Cherokee comes in eight powerful trims, with each one offering its own selection of innovative systems. Visit Airport Chrysler Dodge Jeep Ram and experience the benefits of this new Jeep Cherokee vehicle. With eight trims, comes tons of engine options. The base trim, the Latitude offers a standard 2.4L I4 MultiAir® engine and an innovative engine oil heat exchanger. The Latitude also features standard duty engine cooling, which makes it easier for your Cherokee to perform. The Latitude offers a standard towing capacity of 2,000 pounds and can tow up to 4,500 pounds when properly equipped. All of the above mentioned is only on the base trim, which means that drivers can experience even better towing ratings and more power. We invite drivers to talk to our team and ask about our selection of SUVs with strong performance ratings. We can help you explore all of the trims the Cherokee offers, from the Latitude to the Overland 4x4. 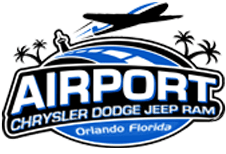 Stop by now and test drive the new 2019 Jeep Cherokee in Orlando, Florida. Our Jeep dealership will gladly help you explore the optional Full Speed Collision Warning with Crash Mitigation and the Front Passenger Seat Belt Alert. Check out our affordable Cherokee inventory now and learn more about the available driver assistive features. 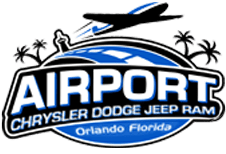 The professionals at Airport Chrysler Dodge Jeep want to help you finance a new 2019 Jeep Cherokee in Orlando, Florida. Don't wait to purchase a stylish SUV––get yours today!